Posted on August 9, 2017 | 5575 views | Topic : Investment, News & Articles, Property News. (From left to right) Selangor Properties Berhad Chong Koon San and Grand Dynamic Builders Sdn Bhd managing director Cheah Ham Cheia. 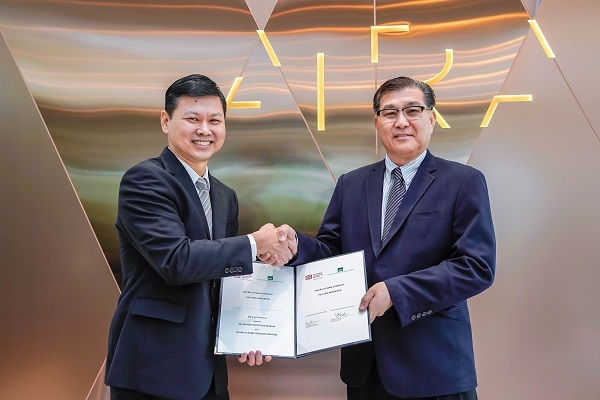 KUALA LUMPUR: Well established-property developer Selangor Properties Bhd (SPB) has awarded Grand Dynamic Builders Sdn Bhd (GDBSB) the main building contract for its AIRA Residence development, located at the peak of Jalan Batai, Damansara Heights. The AIRA Residence project, which was launched in October last year, represents SPB’s comeback to major urban development following an absence of over 15 years. The luxury condominium development, which is achieving average selling prices of RM1,700 per sq ft, is due for completion in late 2020. According to statement, the AIRA Residence site represents the last and most prime residential parcel remaining from SPB’s initial holding of 1,000 acres of Damansara Heights land. The company still has over 30 acres of land available for commercial and mixed-use development, giving it a long-term pipeline of major project opportunities. GDBSB was awarded the contract following a comprehensive tender process that sought to find a main-contractor capable of delivering the quality of construction and safety standards SPB demands for its high-end project. The RM400+ million contract involves nearly one million sq ft of gross building area over 17 levels atop a 4=four-storey podium car park. The awarding of the superstructure contract follows the successful completion of substructure work by Geohan Sdn Bhd. (From left to right) Selangor Properties Berhad (SPB) finance director Lee Tart Choong, SPB properties director Brian Newman, SPB COO Chong Koon San, Grand Dynamic Builders Sdn Bhd (GDBSB) managing director Cheah Ham Cheia, GDBSB executive director Alexander Lo and GDBSB assistant manager, finance, risk management & business development Cheah Jun Kai. Grand Dynamic’s project portfolio includes KL Eco City (Parcel B), One Central Park, Westside III, and currently, Etiqa Tower. Also attending the Opening Ceremony was SPB property director Brian Newman; finance director Lee Tart Choong; GDBSB managing director Cheah Ham Cheia; and GDBSB executive director Alexander Lo. AIRA Residence – located at the peak of Jalan Batai, Damansara Heights. “We are excited to be awarded this major contract, and to play an instrumental part in SPB’s return to major urban development. 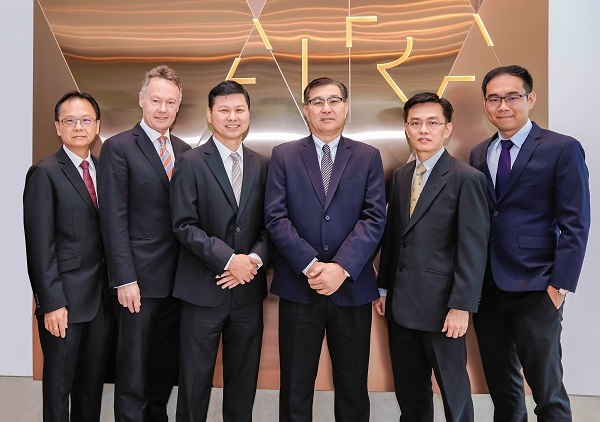 We believe our philosophy of safety, quality, and operational excellence will help realize SPB’s exciting vision for AIRA Residence,” said Cheah. Combining European aesthetics, Asian functionality, and best-of-class sustainability principles, AIRA Residence is designed to be the epitome of luxury living, offering residents a world of privacy and serenity with its offering of 154 units across three-acres of land. The design of the development involved three world-renowned designers, namely Dutch interior designer, Piet Boon from Studio Piet Boon; landscape architect, Franklin Po from Tierra Design, Singapore; and principal architect, Alen Nikolovski from the international design firm, AEDAS. 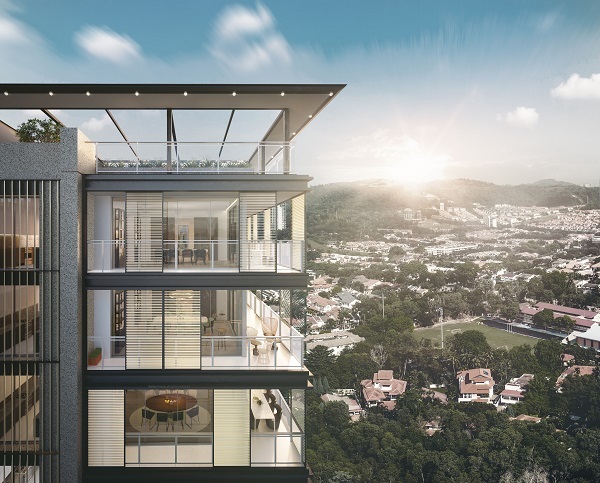 With built-ups ranging from 2,679 to 7,730 square feet – AIRA Residence offers a limited opportunity to own a luxury sky-home in the prestigious neighbourhood of Bukit Damansara with expansive views of the city skyline.